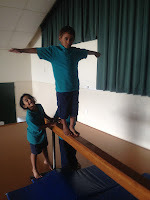 We have been learning how to balance on the beam. 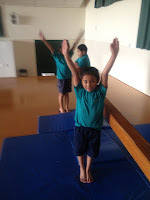 We are trying to keep our heads up with our arms and backs straight. Some of us are trying to do dips. We bend our knees and scoop our leg down below the beam. A fantastic finish. Legs together and hands straight up in the air. 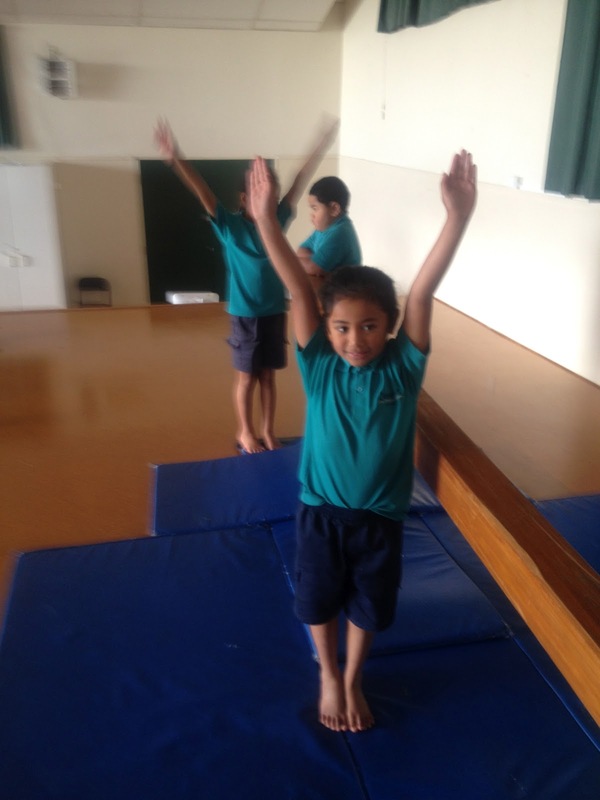 What is your favourite gymnastic activity? We are impressed by your beam! Bar to Bar ... It means when you're on the bar and you have to jump from a low one to a high one says Louis. 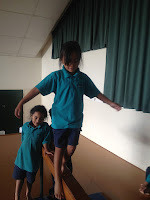 Round off flick (it's where you do a cartwheel and then a back flip with your legs joined together) says Kalli. Going over the vault and landing in the splits says Cecilia. What are your favourite gymanstics? 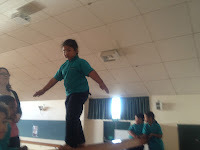 Hi my name is Faith and my favroutie gymnactic sport is Trampliene,Bars,Beam,Floor and Fast track.On floor I really like doing splitz and Flips.Whats your favroutie gymnactic move? Hi my name is Cerys.I love going on the beam,it's my favourite thing to do.It's a bit hard. my favouite gymnastics is a cartwheels it can be quite hard sometimes but its good fun! 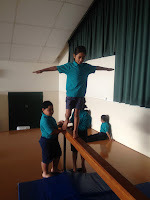 That looks exting my favrouite gymnastics is balancing beam too. sometimes its quite hard i find it hard and easy. Hi my name is Chloe J and we went on a balance beam and it was really thin. Looks like so much fun Room 1! 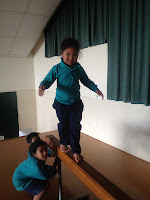 Hi my names Kalli i like gymnastics and my favorite piece is beam.I can do cartwheels of the beam.